A study led by the Department of Public Health projects that Massachusetts should rake in nearly $216 million in state marijuana tax revenue in the first two years of recreational pot sales. 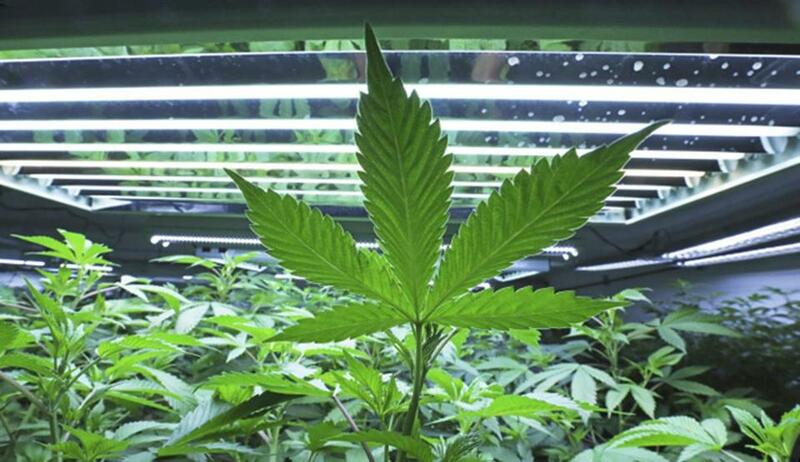 It’s not a surprise to some — but marijuana consumption is common among Massachusetts adults, according to a new study released Friday by health researchers that provides a snapshot of cannabis use as the state gears up for the start of recreational marijuana sales. The study, led by the state Department of Public Health, found that 21 percent of adult residents surveyed had used marijuana in the past 30 days. Young people, however, are using the drug at much higher rates: More than 50 percent of those aged 18 to 25 consumed cannabis within the past 30 days, compared with just 18 percent of those 26 and older, according to the research. The findings were based on mailed and online surveys of about 3,000 adults of different ages from each region of the state. The study— conducted by DPH along with other state agencies, University of Massachusetts scientists, and several private firms — was mandated in lawmakers’ 2017 rewrite of the 2016 ballot initiative legalizing marijuana in the state. Other states that have legalized marijuana have struggled to understand the financial and public health impacts of making the drug commercially available, thanks to a lack of good before-and-after data. The DPH study is meant to give Massachusetts a solid basis for future comparisons. “The study establishes a baseline measurement of how marijuana is used and how that affects public health, public safety, and potential revenue in the state before adult-use marijuana becomes widely available,’’ said Marc A. Nascarella, a DPH researcher who led the study. There was little difference in use rates between races, the study found. Residents of Western Massachusetts used marijuana at higher rates (about 30 percent) than those of other regions. And a majority of Massachusetts residents (53 percent) perceive marijuana to have slight or no risks. It’s not clear whether the number of people using cannabis in Massachusetts is increasing. In other states, marijuana-use rates have generally increased following legalization, though under-18 marijuana use in Colorado recently decreased. An earlier DPH study conducted in 2016 found that only about 12 percent of adults reported non-medical marijuana use; however, that survey asked whether respondents used the drug within the past year, not month, and was conducted by phone. It also occurred when there were fewer medical marijuana dispensaries in the state, and before the drug was legalized in late 2016. A surprisingly large number of marijuana users — 34 percent — said they had driven while under the drug’s influence within the past 30 days, or about 7 percent of the state’s overall adult population. Researchers also said the rate at which deceased drivers in fatal crashes tested positive for marijuana is growing, though they didn’t provide precise figures. Measuring marijuana impairment is notoriously difficult. Metabolites of THC — the primary psychoactive compound in cannabis — can be detected in blood weeks after any high has faded. There is also no widely accepted “Breathalyzer”-type test that can measure marijuana impairment. Generally, the drug degrades driving ability, though it poses a far smaller risk than drunkenness; a recent National Highway Traffic Safety Administration study found no correlation between marijuana consumption and the risk of fatal collisions. A state task force convened earlier this month is studying drugged driving. The state Cannabis Control Commission is also conducting research on marijuana, and is poised to launch a public awareness campaign about youth marijuana use and responsible consumption of the drug. Meanwhile, DPH projected that Massachusetts should rake in nearly $216 million in state marijuana tax revenue in the first two years of recreational pot sales. While significant, the money would represent less than 1 percent of the state’s $41 billion annual budget. Taxes in the first year of sales should total about $62 million, DPH said, before climbing to $154 million the next year — with sales mostly driven by heavy consumers of cannabis.